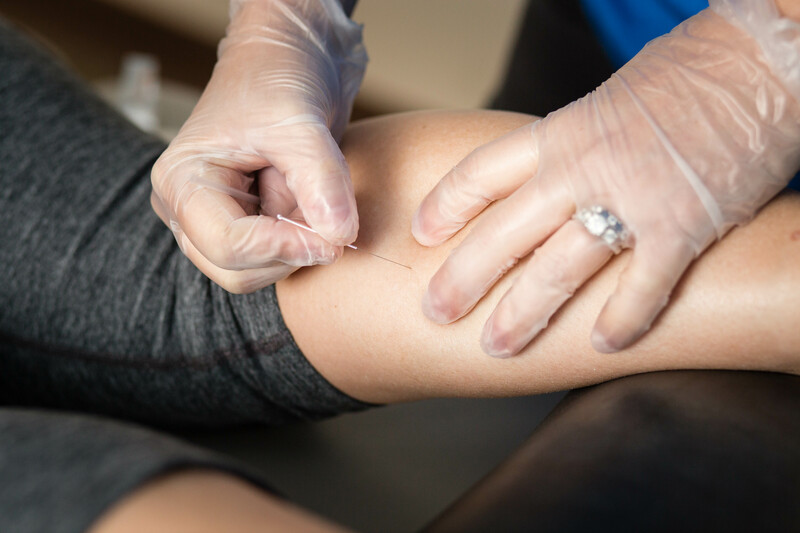 Dry needling is the use of a solid filament needle inserted into the skin and muscle directed at a myofascial trigger point. It involves insertion and repetitive manipulation of the needle in the myofascial trigger point in order to produce a local twitch response. This twitch response results in muscle relaxation due to the release of shortened bands of muscle fibers. It is called Dry needling because no medication of any kind is injected. The exact mechanisms of dry needling are not known, however, we do know that there are both mechanical and chemical effects. We know that inserting a needle into trigger points can cause favorable chemical changes, which assist in reducing pain. It is essential to elicit so-called local twitch responses, which are spinal cord reflexes. Getting local twitch responses with dry needling is the first step in breaking the pain cycle. The advantage over other manual physical therapy techniques is that we can treat parts of the muscle and deeper layers of muscles which our hands and fingers cannot reach. Also, this method is far superior in achieving a local twitch response over other manual techniques. There are no drugs administered during dry needling, so we can treat many trigger points during each session.